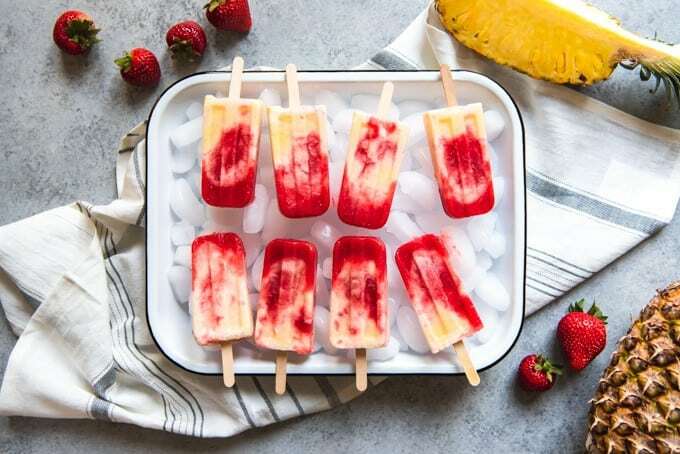 Keep summer going strong by making these Strawberry Pineapple Coconut Swirl Popsicles! They are a fun, fruity frozen treat that are as tasty to eat as they are pretty to look at! 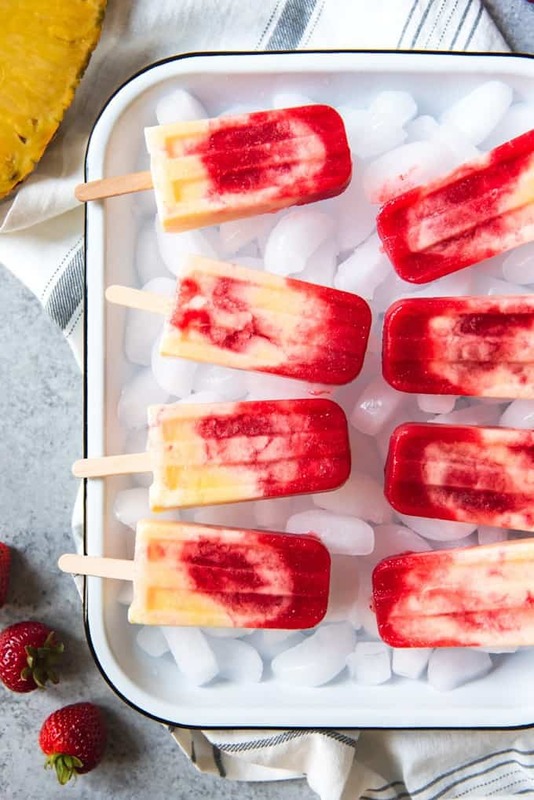 Confession time – I fully planned to share a whole bunch of popsicle recipes with you this past summer and totally didn’t. A bunch of the variations I was working on just never came together the way I had hoped and I didn’t want to share something on the blog that I only felt somewhat happy with. So I tabled the idea and moved on. Except I completely forgot about the one popsicle recipe that I actually DID love (and made multiple times because it was so tasty and pretty and fun!) 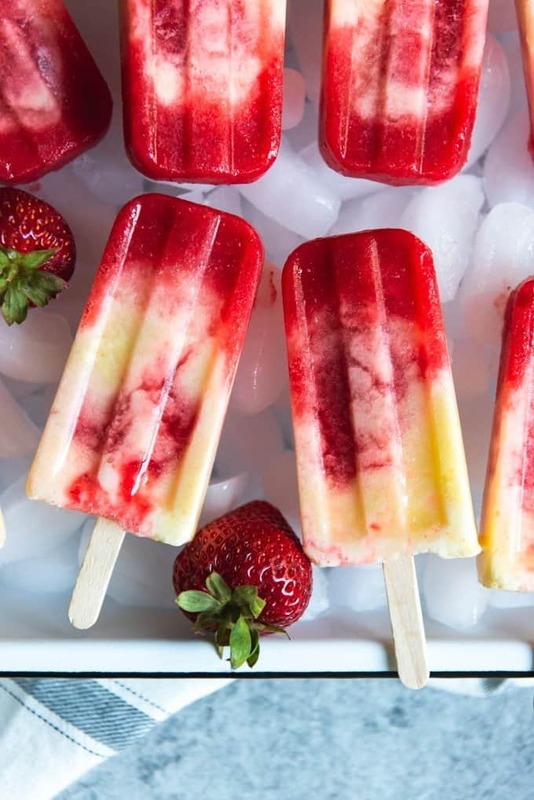 – these strawberry pineapple coconut swirl popsicles. 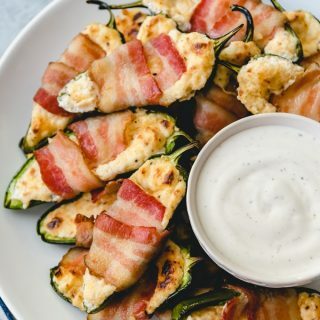 When I came up with these, I was thinking about the “big sticks” of my youth – those long cylindrical yellowish, orangish, reddish swirl popsicles that I could buy on Fridays at my southern California elementary school for a quarter and eat on the playground. My version isn’t really the same, but they sure are delicious anyway and made with real fruit! Making homemade popsicles is actually really fun and easy. You will first need a popsicle mold, some wooden popsicle sticks, and a high powered blender. Then gather up your favorite fruits and blend them with a little juice and simple syrup before freezing in the molds. 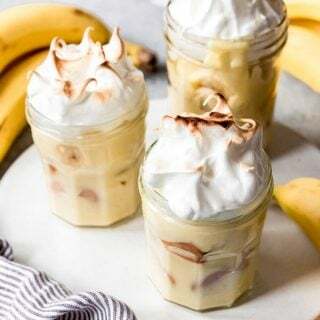 It’s such an easy process, and kids love getting involved and helper too by dumping fruit and liquid into the blender or pouring the liquid into the popsicle molds and sticking in wooden popsicle sticks. 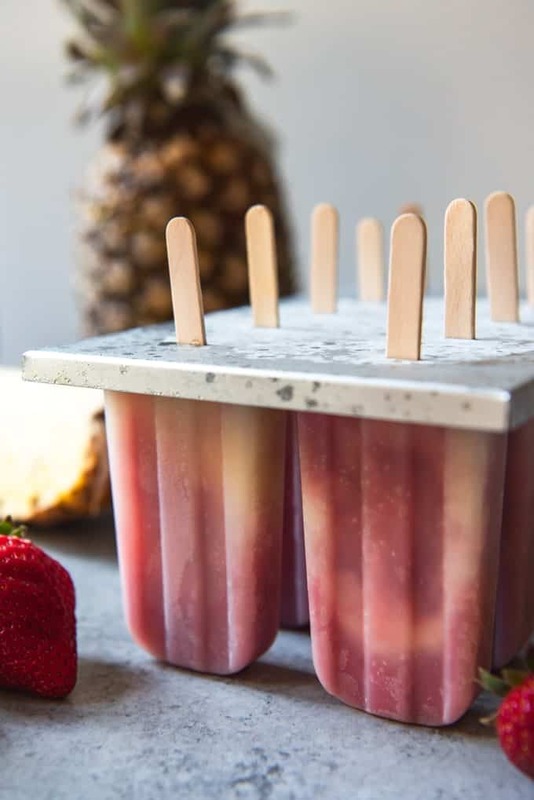 As you can tell from the picture, rather than mixing all of the ingredients together and getting a homogenous colored popsicles, you can get a neat swirled effect by blending two different batches of fruit bases and then swirled them together in the popsicles molds. 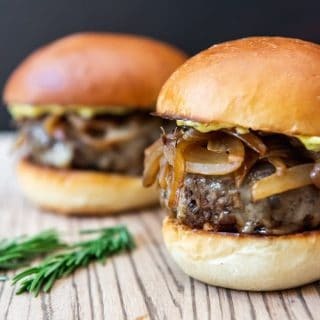 I think the effect is so pretty, and it has the added benefit of letting the all of the flavors stand out a little bit more rather then melding together. 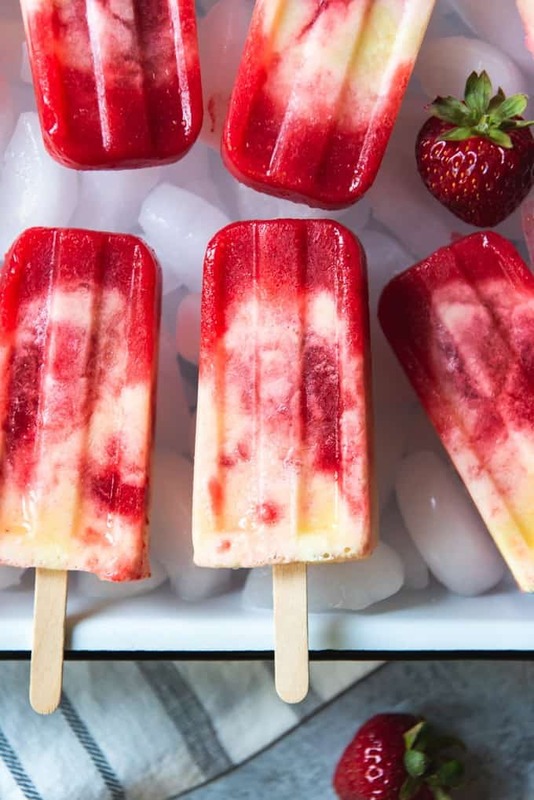 I’ve also seen beautifully layered popsicles with stripes of different colors, but those are a little more labor intensive, involving freezing one layer at a time before adding the next, refreezing, and so on. 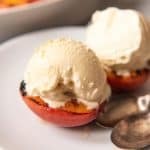 I use an easy simple syrup in my popsicles to sweeten the sometimes tart fruit. 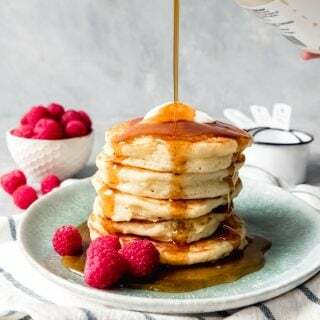 Simple syrup is made by combining sugar and water in a small saucepan and cooking until the sugar was completely dissolved into the water and it has thickened slightly to syrup consistency. The recipe for simple syrup I’m including below makes more than you need for one batch of popsicles, but leftovers can be used to make more popsicles or to use in homemade lemonade or other beverages. 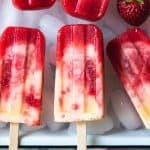 To make the strawberry layer of these swirled popsicles, combine 3 cups of fresh strawberries with 1/2 cup of apple juice in a blender and blend away until pureed. 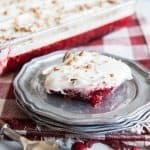 Taste and add simple syrup as needed to sweeten, which can vary depending on how sweet your strawberries are to begin with. 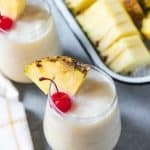 Make the pineapple layer by blending 2 cups of frozen pineapple chunks with 1/2 cup of coconut milk and 3/4 cup of apple or pineapple juice. 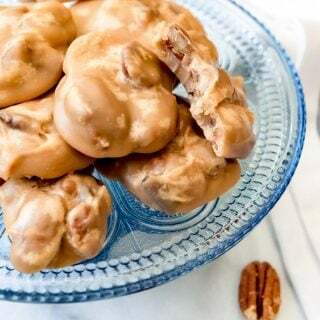 Taste, then sweeten with simple syrup as well, if needed. I find that the pineapple layer tends to be naturally sweeter and less tart than the strawberry layer so I use less simple syrup. I also prefer using frozen pineapple, rather than fresh, because it’s so easy to use, I always have it on hand in the freezer for making smoothies, and it makes more of a slushie consistency that makes it easy to create a swirl effect in the popsicles when pouring into the mold since it displaces some of the thinner, more liquid-y strawberry layer. To create the swirls, pour or spoon small amounts of the strawberry mixture into the bottom of your popsicle molds. Next, add a little of the pineapple coconut mixture, which I definitely find easier to spoon in rather than pour. Continue to alternate adding each flavor until the molds are filled. 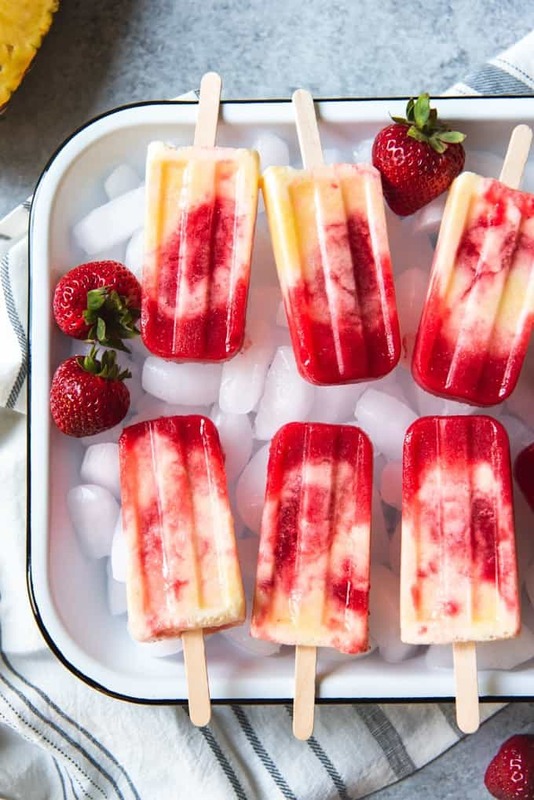 Because of the different densities, the popsicles will swirl naturally on their own to create that gorgeous yellow and red look. Cover the popsicle mold with aluminum foil or a lid and stick wooden popsicle sticks into each popsicle, then freeze for 3 hours until completely frozen. To unmold, run the popsicle mold under hot water for a few seconds to loosen the individual popsicles so they can slide out. 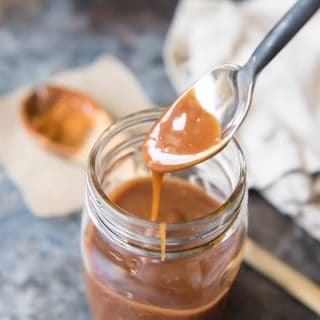 Make the simple syrup by combining the sugar and water in a small saucepan over medium high and bringing to a boil so the sugar dissolves, then remove from heat and allow to cool completely. Chill in the fridge until ready to use. This makes more simple syrup than you need for these popsicles, but you can use it in lemonade or other popsicle recipes. In a blender, combine the strawberries and apple juice and blend until smooth. 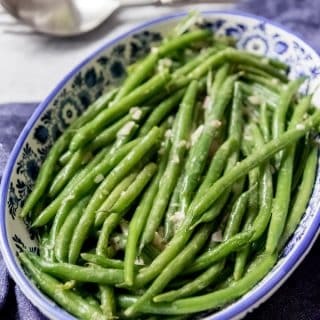 Taste and add simple syrup as needed to get to the desired level of sweetness, which can vary depending on how sweet the berries were to begin with. I ended up using 4 tablespoons of simple syrup because my berries were pretty tart. Transfer the strawberry swirl mixture to another container and rinse out the blender. Add the pineapple chunks, pineapple juice, and coconut milk to the rinsed blender and blend until smooth. Taste and add simple syrup as needed to get to the desired level of sweetness. 1-2 tablespoons is usually a pretty good amount since pineapple has a lot of natural sugars in it and is already fairly sweet on its own. Fill the popsicle molds by alternating adding the strawberry and pineapple coconut mixtures a little at a time. They will naturally swirl on their own without needing to use a knife or skewer to create the swirl effect. Cover the popsicle mold with foil and insert wooden sticks into each popsicle. Freeze for at least 3 hours until the popsicles are solid before running under hot water to loosen and remove the popsicles from the mold. 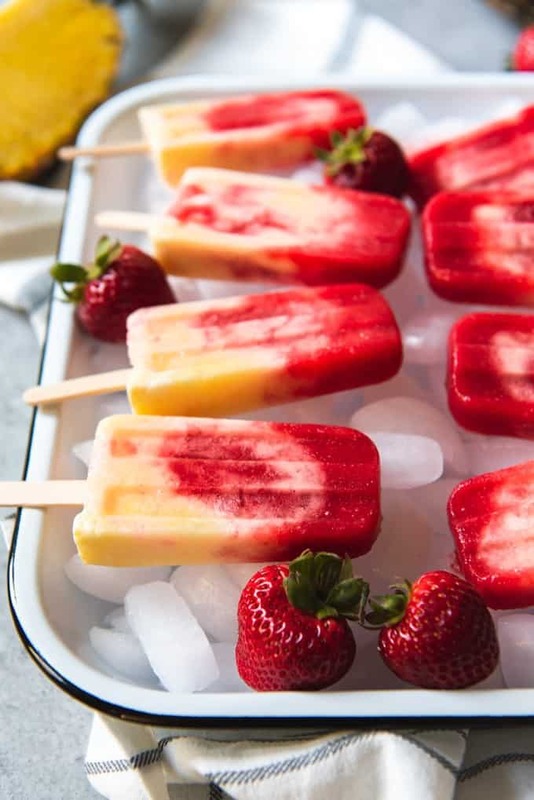 You can use fresh or frozen fruit to make these popsicles, but they won't swirl quite the same way with any combination other than fresh strawberries and frozen pineapple. If using fresh pineapple, use only 1/4 cup of pineapple or apple juice in that layer instead of the full amount. If using frozen strawberries, increase the amount of juice to 3/4 cup.